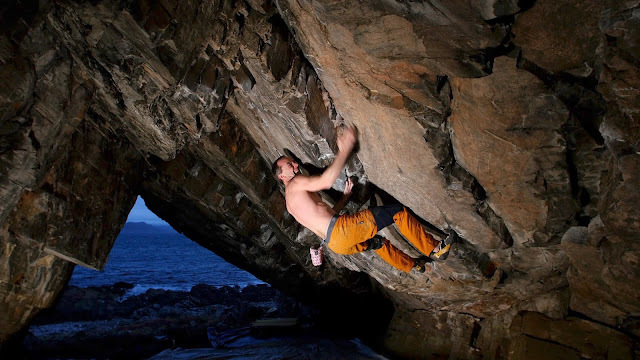 Dave MacLeod climbed a long-term project at the Arisaig Cave called Lithium (8b+). 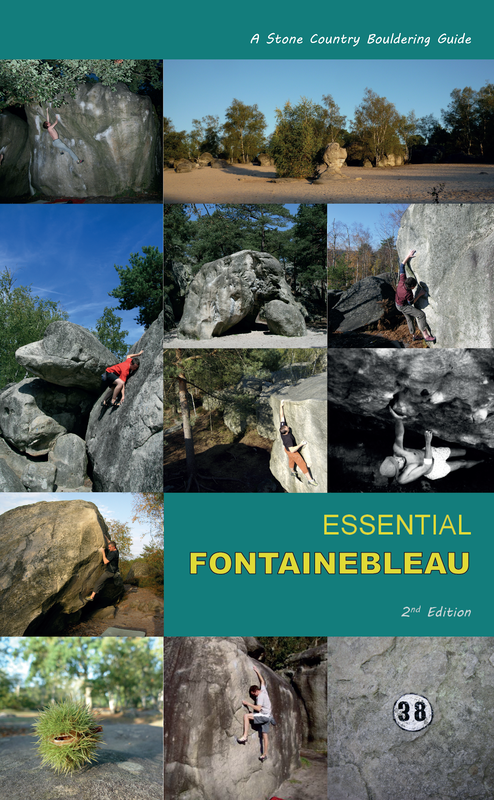 He wrote absorbingly about the battle on his blog >>> Dave has, over the years, been working through some of the hardest and longest boulder problems in Scotland, and he seems also to be working through the classic Nevermind album for naming inspiration - quite right too! Tom Charles-Edwards climbed the big prow which is the centrepiece of Arran's vast rocky litter in Coire nan Ceum, giving it a grade of 7b+ and calling it Vertigo. 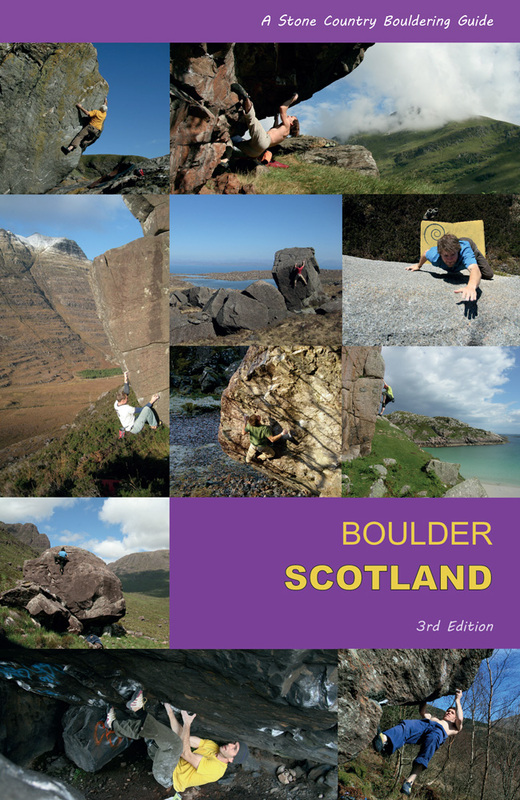 Tom's approach to remote Scottish bouldering is low-key and impressively minimal and pure: no mats, ground-up, no ropes - a walk-up-and-do-it approach!